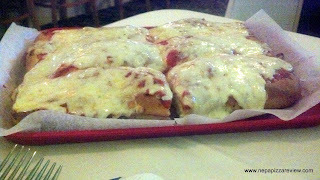 I was turned on to Brutico's by a few readers who recommended that I get to Old Forge and try the pizza, plus my goal is to finish reviewing "the strip" of pizzerias in Old Forge on Main Avenue. Although Brutico's is more of a fine dining restaurant than it is a pizzeria, they do serve pizza in the Old Forge Style, so it is my obligation to try it! I tried once or twice to pick up a pizza on lunch, but I didn't find out until later that Brutico's is only open after 5:00 pm for dinner and when I walked in, it was easy to see why. The dining room is very classy, formal yet relaxed, clean, and really gives you that authentic Italian family feel. 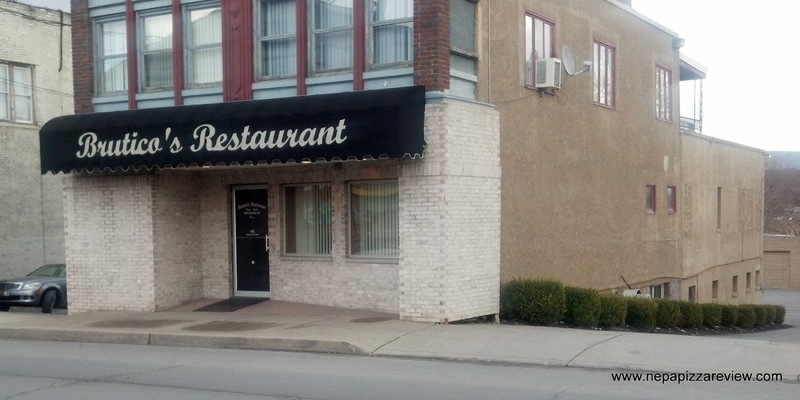 They have a fairly large dining room with several tables, a full bar with around a dozen stools, and their website advertises a party room for special events and catering. NOTE: BRUTICO'S IS NOW KNOWN AS CUSMANO, I'm not sure if the recipes have changed, or if they still serve pizza! 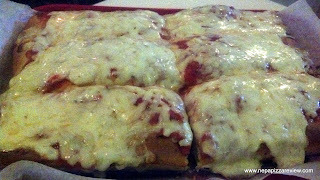 As I sat down, I got the feel that I should be doing a review on a fine pasta dish, but I had a job to complete and stuck with the plan and ordered a half tray of Old Forge Red pizza. Fortunately, I timed it just right, and there was a pizza coming out of the oven and the pizza was at my table within 3 minutes! I was in a hurry as usual so this was a blessing. I took in the relaxing environment for a few minutes while the steaming hot pizza's temperature got to slightly below liquid hot magma. My first impression was that this was a beautiful pie, cooked and prepared well, and it was apparent that this was a bit more complex than some Old Forge pies. The crust was among the thickest of all of the Old Forge pies that I've ever had. I also liked the amounts and application of the sauce and cheese. I wish the lighting was a little better, because the pictures don't really do the pie justice as it was really a pleasant site. 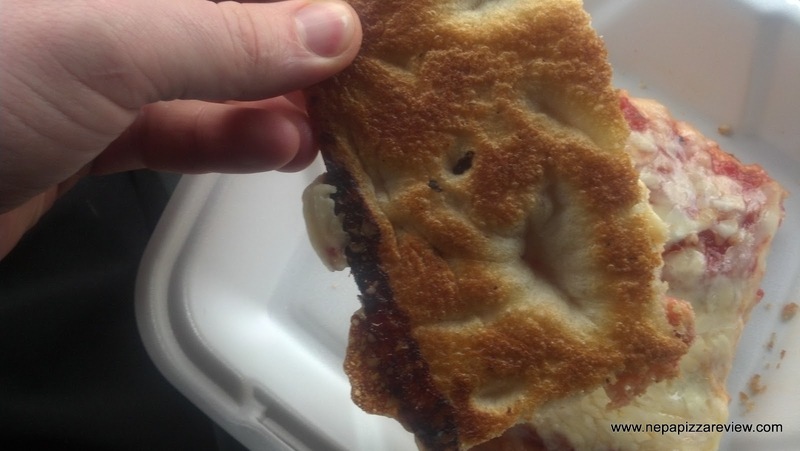 Check out a picture-filled review and rate Brutico's yourself on pizza570! 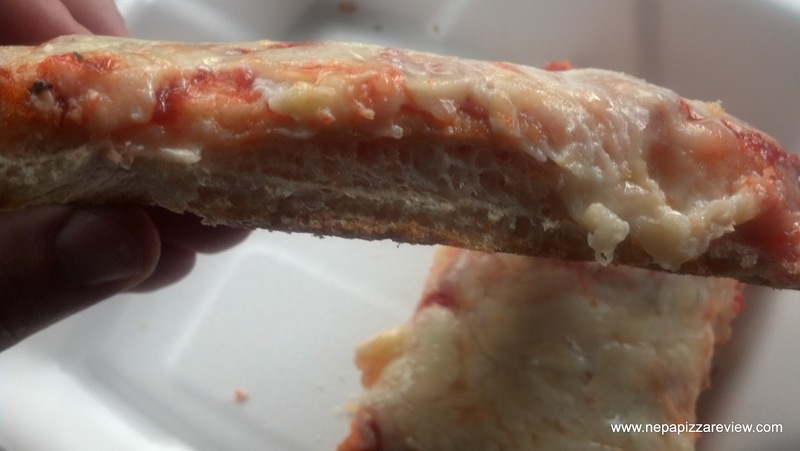 As I said, the crust was very thick and fluffy as well as super crispy on the bottom. I very much enjoyed the flavor of the dough as well. The sauce was definitely more on the zesty side especially when compared to some of the other sweeter Old Forge sauces that are out there. The sauce was of a smooth consistency and fairly well seasoned with a distinct oregano and herby flavor which was pleasant, but I'm not sure the balance of the whole pizza was just perfect with all of the seasoning. For those of you onion haters, have no fear, I did not detect any onions in the sauce here! The cheese was definitely a blend, and I'm never usually 100% correct when I speculate the cheese blend but my guess would be a white cheddar, and something similar to a mozzarella. I personally am not a fan of when the cheese is burned on the top of an Old Forge pizza, and this was not the case, but I would have liked the cheese to be slightly more cooked as I could see some separation between the strands of cheese that didn't get the full opportunity to melt and get to know each other better! To be clear, this pizza was not undercooked, but for me I would have liked another minute in the oven. I have to issue a warning because the pizza is so light and tasty, it is very easy to look down and have the whole tray disappear! 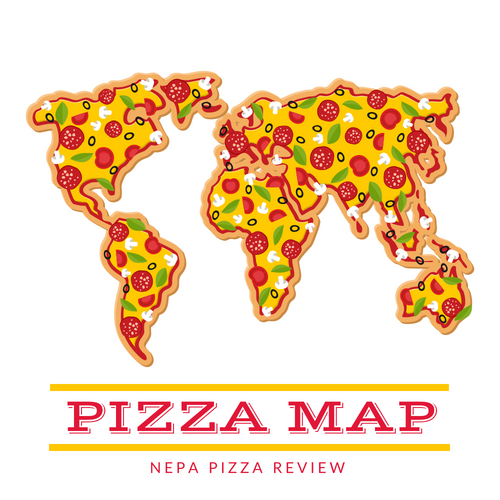 Overall, I have to say I did enjoy the pizza. 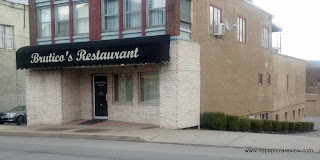 The entire time I was feasting on it, I drew very close comparisons to Salerno's Cafe which is only a couple of minutes down the street. Ultimately, it's pretty clear that Brutico's core product is not pizza, rather it's their fine dining experience and Italian cuisine. I must say, after doing this review, I have Brutico's high on the list of places that I want to take my girlfriend on a nice date!